This T-Shirt is 100% Polyester and light to play in. 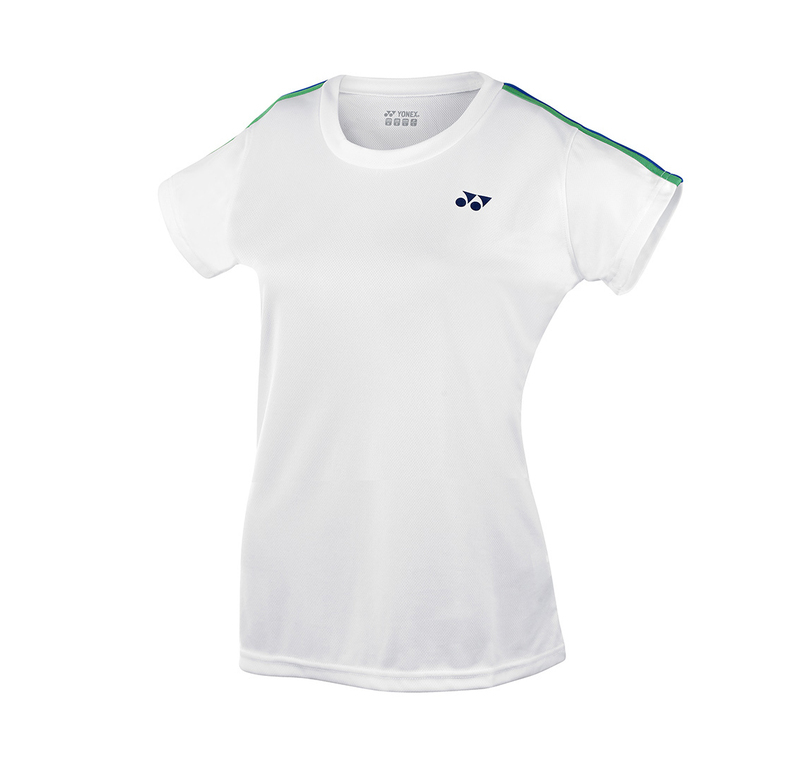 This Yonex Team T-Shirt is ideal for a club as it is available in Mens, Womens and Junior. Available in Navy Blue, Black, Red, White and Yellow. Do you own the Yonex Laides YT1005 White?